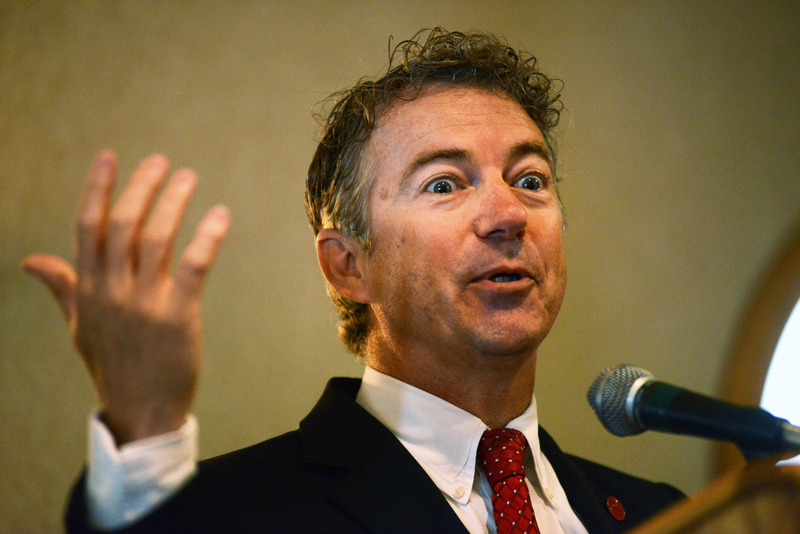 Rand Paul comes from a well-known political family. His father Ron Paul had a decades-long career in Washington, D.C., as a congressman known for libertarian values and notable White House runs. But Paul's presidential bid announcement on Tuesday led to the resurgence of a long-standing quip about an unreal (we wished it was!) family tie — with drag queen RuPaul. With that, we welcome back the Rand Paul and RuPaul jokes that make us remember how great the Internet can be. The Paul connection first began back in 2008 after father Ron Paul announced he would run for president. RuPaul told ABC News she would often be confused with Ron Paul and be swarmed with questions about her presidential platform. But the joke specifically gained popularity when late-night political show host Stephen Colbert hilariously praised the imaginary branch of the Paul family tree on The Colbert Report last year. 2016 will also bring the next presidential election, and I'm a sucker for political dynasties. My current favorite one is the libertarian Paul family. There's Papa Ron, son Rand, and of course... Cousin Ru. But to bring some fun into the upcoming races, which can sometimes be a laborious circus, Tumblr blog "Saved By the bell hooks" has kept the Rand Paul-RuPaul mash-up alive by placing popular RuPaul quotes onto Rand Paul photos. The results? Amazing.